Multi-instrumentalist and singer Dave Curley has collaborated with everyone from Grammy award winners Moya Brennan of Clannad to Ross Holmes of Mumford and Sons. 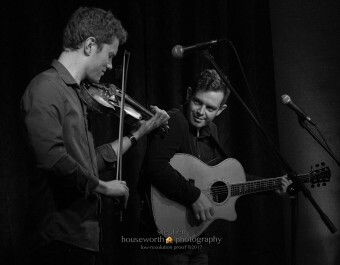 Andrew Finn Magill, an Asheville native, is an All-Ireland finalist fiddler and Ropeadope Recording artist. Come hear two of the most exciting young musicians in the U.S. for a night of Irish tune & song! NOTE: THIS EVENT HAS BEEN CANCELLED. Moya Brennan of Clannad and Ross Holmes of Mumford and Sons. For 10 years, Curley has worked with the award winning traditional super group, SLIDE, headlining North America’s largest Irish festivals. Doyle. He has toured five continents and self-released four albums in everything from traditional Irish music to African fusion. Curley & Magill bring together a wealth of genres and instruments into this exciting new musical collaboration of Irish tunes and songs.